sarahkatebranine: Buffaloes and Mayonnaise . 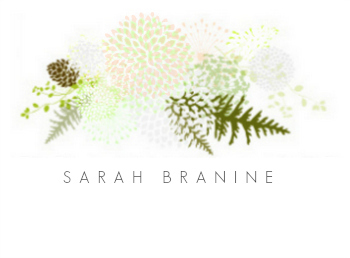 A couple friends and readers have asked about my new blog logo. And let me tell you, I was ever so happy to discover Lisa of Who's Your Little Buffalo. Along with keeping her own business and Etsy shop, she designs for the well-loved company, Minted, as well. I fell immediately in love with her creations and decided to order some calling cards for Cranny. Then, after a few months of contemplation, I went ahead and hired her to create my blog logo for me. I'm so glad I did. I was completely thrilled with the outcome and she was so kind throughout the process. That's saying a lot, because I am pretty high maintenance to deal with when it comes to designs, colors, and fonts! This was my first experience in working with a graphic designer other than my brother-in-law. I have been so spoiled by Jon and I kind of felt like it was time for me to grow up and stop asking for favors from family. Although, that decision was very difficult because I love Jon's work! I'm so thrilled to tell you that Lisa is offering Cranny + B readers a special discount for any work that you'd like done or for any purchases through her Etsy shop. If purchasing through her Etsy shop, use the code CRANNY15 to save 15% off your order. If you are interested in any design work, send Lisa a convo. ( The code will be valid through Friday, August 31st. ) Thank you, Lisa! On a side note, I wanted to let you know that every once in a while, you'll see an advertisement attached to one of my blog posts. Because of some issues with html code, I myself cannot view the Hellman's mayonnaise advertisement with the Fauxtography post below, but I am told by the BlogHer html experts that it is indeed there! I've agreed to do this and have been compensated to do so. Those grande, no-water, no-foam, whole milk chais have to be funded somehow, wink! So thank you in advance for putting up with a picture of mayonnaise or hair conditioner or whatever it might be! Okay, now go check out this Etsy shop! I love your logo super a lot. Thanks for telling us about this shop! 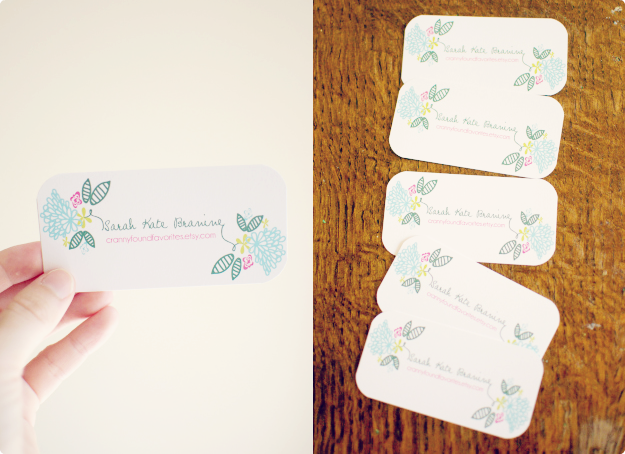 very sweet cards and logo, Sarah!